50 km northeast of Seville the ruins of Munigua, ancient Municipium Flavium Muniguense, are located. The Hispano-Roman city with numerous sanctuaries, thermal baths, a forum and town houses is enclosed by its ancient city wall. 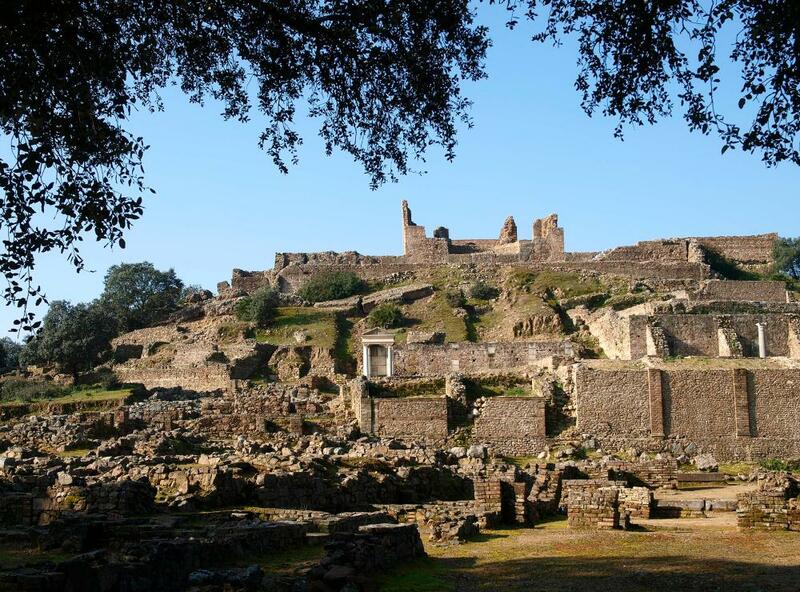 Since the middle of the 4th century BC Munigua was populated for more than 1000 years. The buildings still visible today were built during the Roman period, between the 1st – 3rd centuries AD, when the town experienced an era of prosperity. Archaeologists of the German Archaeological Institutes (DAI) showed that the wealth of the city was based on the rich copper and iron ore deposits, located in the surrounding area. The long-term project began in 1956 and has since than uncovered a large part of the urban area. Munigua is an important example of a Roman city foundation on the Iberian Peninsula. Currently, the city is being virtually reconstructed in 3D. The work is undertaken by the Department Madrid of the DAI. The model is based on research results focusing on the functionality, habitability and usability of the ancient buildings. Square infront of the mercury temple in Munigua | © Ruipérez, DAI. The archaeologists want to share their research results with the modern inhabitants of Villanueva del Río y Minas, a village located near the ruins of Munigua. The scientists give lectures at the cultural center and the school on a regular basis and offer guided tours through the Roman ruins. The current project manager Thomas Schattner visits the school often to share his knowledge and introduces the local children to their cultural heritage. School children perform at the ruins of Munigua | © DAI. The students of the school perform in the ruins of Munigua each year. Supported by a teacher the kids prepare for the theatre play a whole year: writing, designing costumes and practicing the performance. The shows are free and attract many visitors. Dealing with the archaeological legacy and the cultural heritage of Andalusia provides an important impetus for the people and the region. Image: Ruins of Munigua | © Patterson, DAI.